Home Drugs and Pharmacy How Many People Have Died From Weed? By far, marijuana is the most popular and frequently used illegal drug in the United States. While many states still classify this drug as illegal, some states like Colorado and Washington have opened up the drug to recreational use. In Washington, you can walk into any recreational marijuana store, buy marijuana and return home with it without a problem. Other than these recreational marijuana states, there are nearly two dozen other states that allow marijuana for medicinal purposes. A handful of other states are also in the process of legalizing recreational marijuana. With all of the headlines surrounding marijuana, many people want to know about its safety. Since marijuana is against the United States federal law, there are few double-blind studies on the drug. Around the world, some research centers—notably, one in Israel—have started to do research studies on the drug. If you want to find out how many people have died from weed, read on. While there may not be a lot of research studies on weed, it is fairly safe to say that it does not cause death. Marijuana alone does not kill people, but some of its side effects can lead to death. Since it does not directly cause death, many proponents of marijuana have pointed out that it is safer than alcohol. While this is somewhat true, that does not mean that there are not some dangers to watch out for. For example, alcohol is known to cause cirrhosis of the liver and potentially death. Weed does not have this effect, but it has a fairly similar potential cause of death as alcohol: car accidents. Weed can slow someone’s reaction time, so it can increase the chances that you will become involved in a car accident. In 2014, the DailyMail reported a German case where marijuana potentially killed two German men. Their cause of death was ultimately attributed to heart problems associated with smoking marijuana. However, a Californian study of 65,177 people between 15 and 49 years of age found that marijuana users were no more likely to die early than people who did not use it. A Swedish study of 45,450 army conscripts later concluded the same thing. These cases suggest that, for the most part, weed does not directly cause death or shorten an individual’s life expectancy. More studies are still needed, but it seems unlikely that many people have died or will die from weed. The chemical compound responsible for getting you high is THC (delta-9-tetrahydrocannabinol). This chemical creates a euphoria in your mind by working with brain receptors to alter your sense of pleasure. Unfortunately, there are some side effects of using THC regularly. When you are smoking marijuana, your heart rate speeds up by 20 to 100 percent. When your heart rate rises, it will stay that way for up to three hours. Marijuana is also capable of changing your heart rhythms. 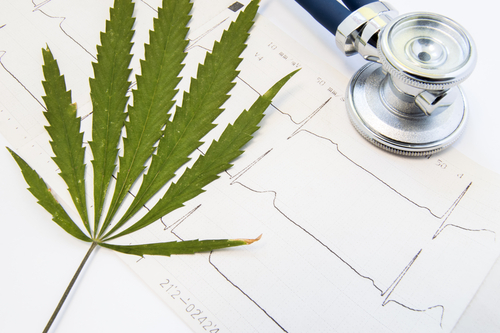 This is one of the main reasons why cannabis users have a 4.8 percent higher chance of developing heart issues like a heart attack within the first hour of smoking. Obviously, this risk is greater if you already have heart problems. Mentally, there are some side effects of smoking weed regularly. If you smoke regularly and use high doses, you are more likely to have a temporary psychotic reaction. This could lead to symptoms like n impaired sense of perception or hallucinations. Individuals who smoke weed regularly are also more likely to experience mental health problems like depression, suicidal thoughts, anxiety and personality disorders. Some studies have also linked marijuana use with a higher incidence of schizophrenia, so you should definitely make sure to avoid marijuana if you have a family history of mental disorders. Like tobacco, marijuana can cause lung problems. The smoke can irritate the lungs, increase the chances of having a lung infection and cause increased mucus production. It can increase your risk of having chest colds and a re-occurring cough. Cancer-causing chemicals in the smoke can increase the chances of having lung cancer, and some weed smokers have been shown to have lung tissue that shows symptoms of pre-cancer.